Dr. Dewan is a fellowship-trained glaucoma and cataract surgeon, specializing in medical and surgical diseases of the eye. He focuses on modern cataract surgery and all forms of glaucoma surgery. Since joining in 2016, Dr. Dewan has helped expand options for minimally-invasive glaucoma surgery at our practice. He was born and raised in Omaha, Nebraska. After graduating from high school he spent the next decade in St. Louis, Missouri. He studied biology at St. Louis University and completed medical school and internship at Washington University. 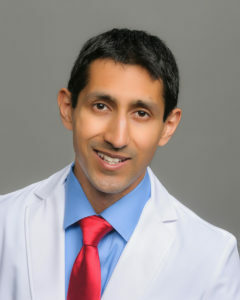 Dr. Dewan did his ophthalmic training at University of Texas Southwestern in Dallas. This included his residency and a one year fellowship in medical and surgical glaucoma. Dr. Dewan enjoys running, photography, and graphic design.